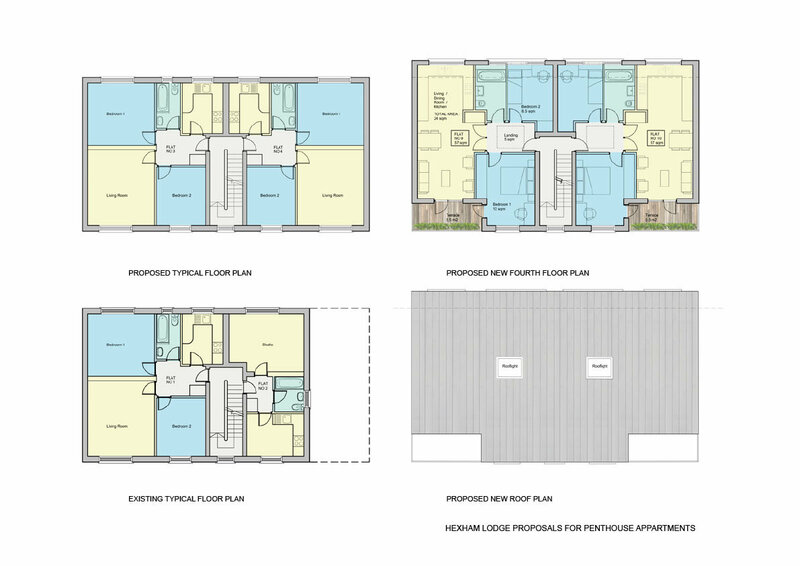 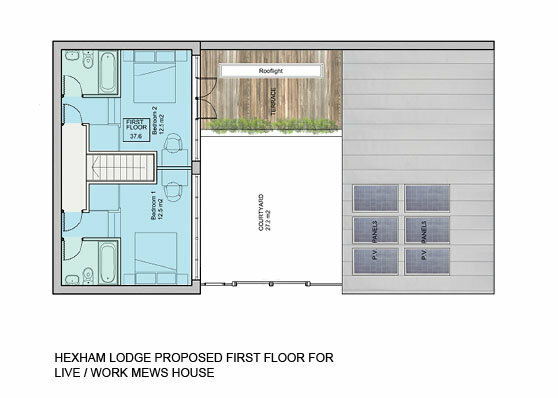 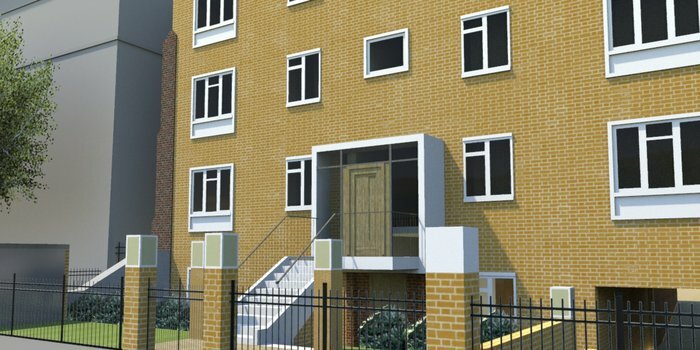 This is one of a pair of similar developments that we are designing in Islington, London. 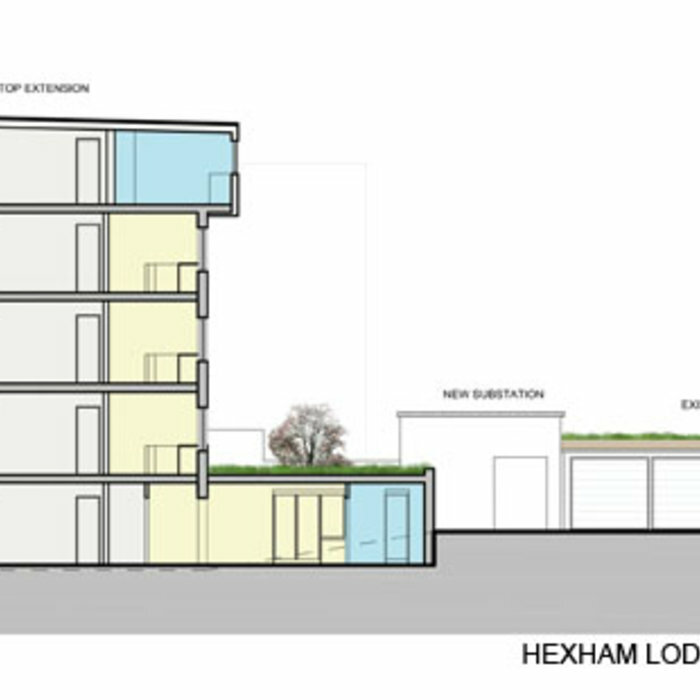 The existing building is a utilitarian brick blocks built in the 1960's with garages to the rear. 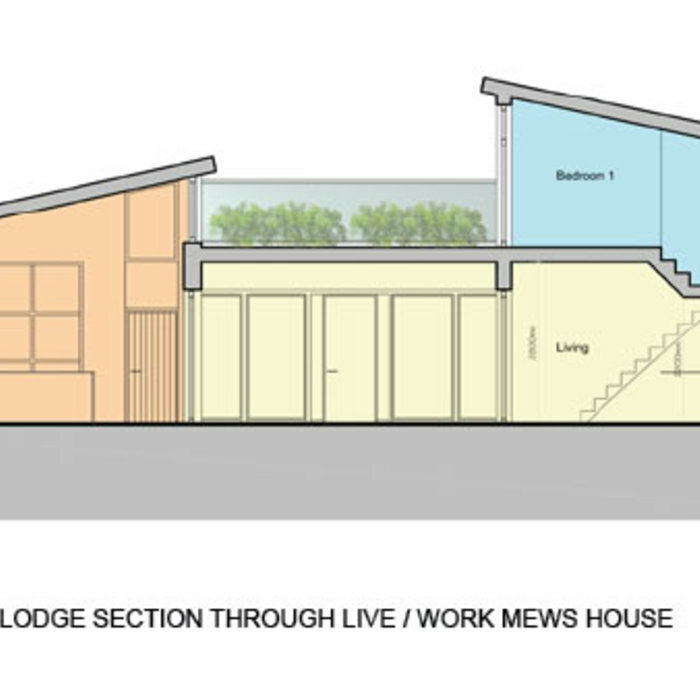 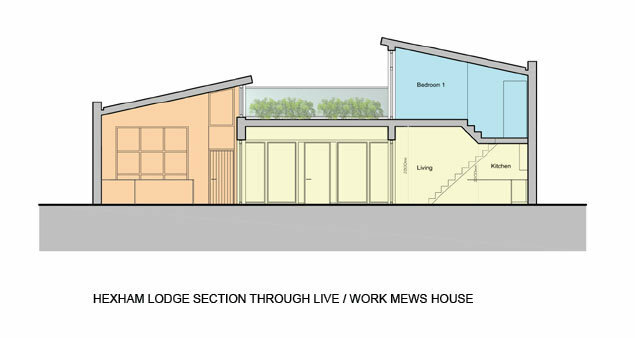 The project is to extend the main block with two new apartments clad in zinc and to transform the rear car park yard with a new mews house and garden made possible by moving a sub station and demolishing two garages. 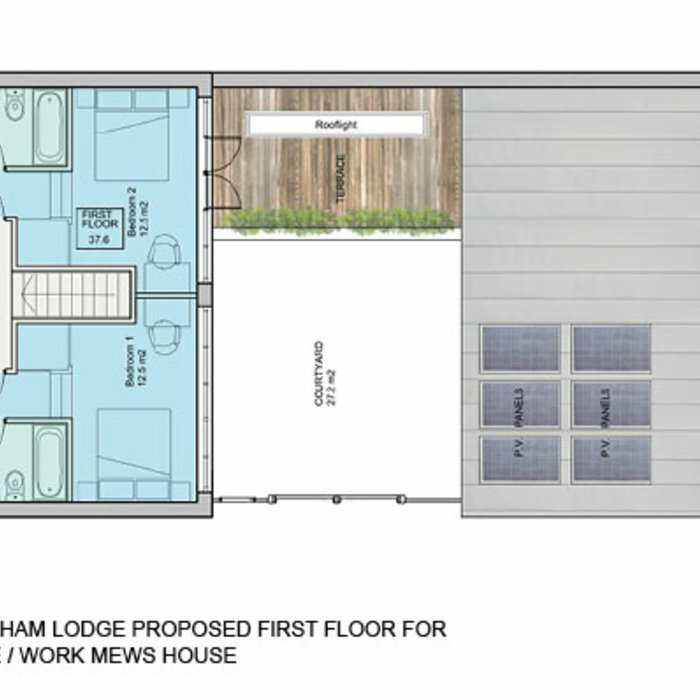 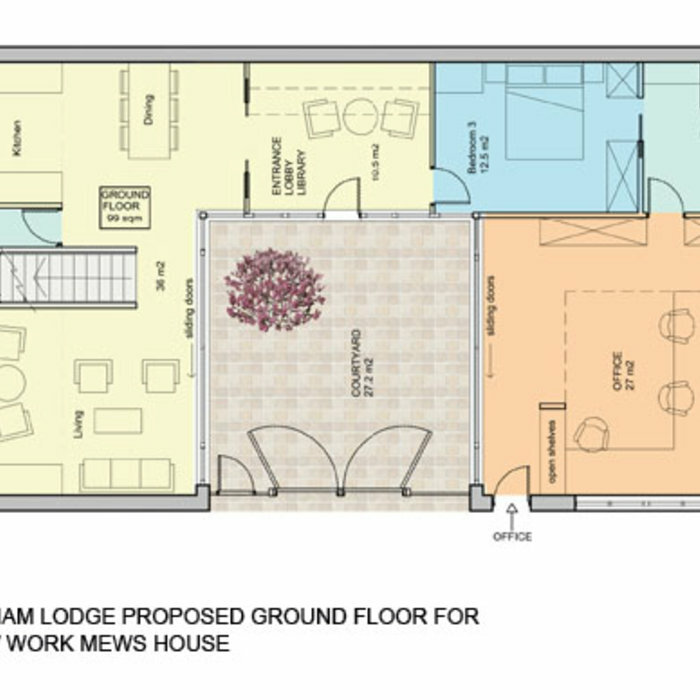 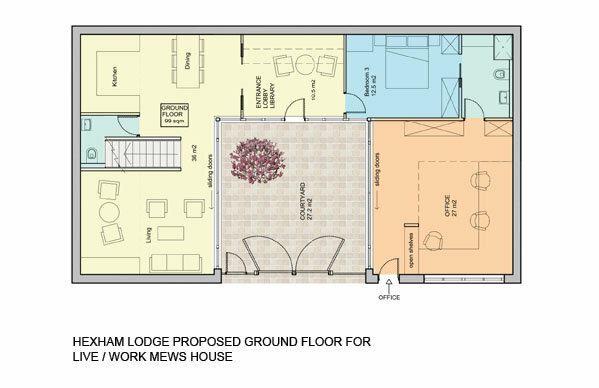 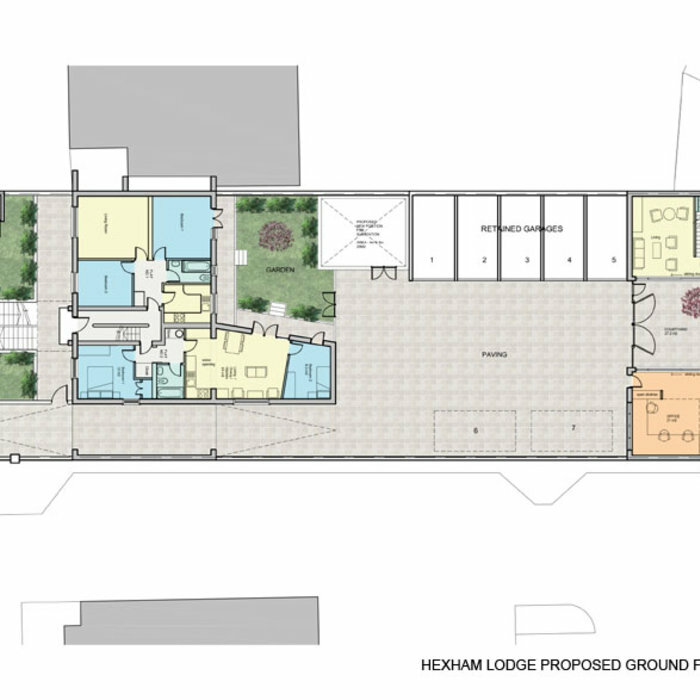 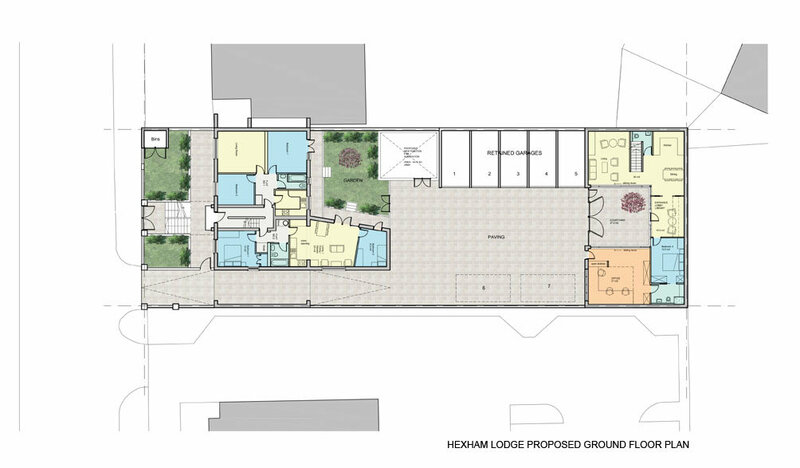 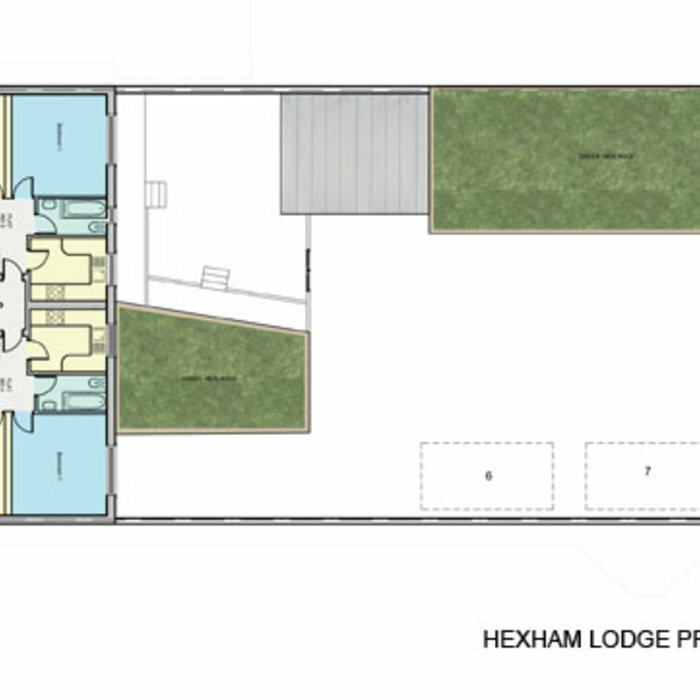 It is also proposed on the main existing block, to raise the main entrance with external steps to the first floor half level landing above pavement level. 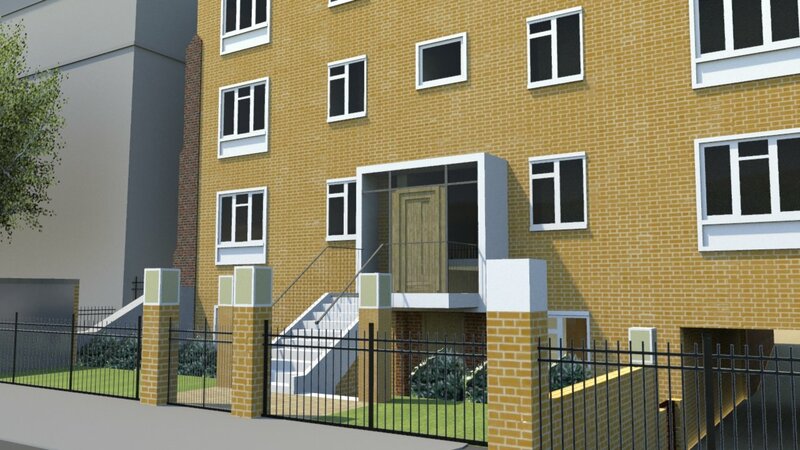 The existing entrance below will be retained for the ground floor level units, one of which will be extended to the rear to provide more living area. 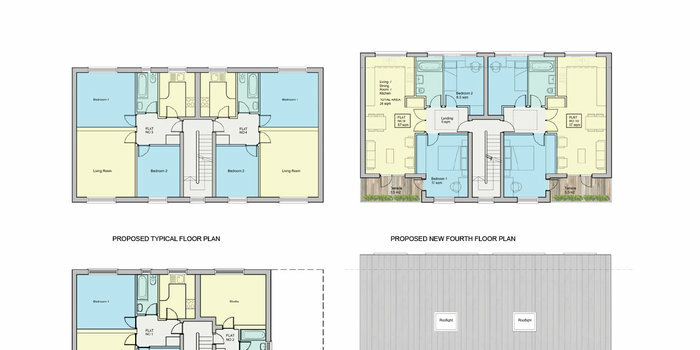 The project has been submitted for planning permission.